of Chrome since the beginning. Simplicity was important to us because browsers had become overly complex, with bulky user interfaces (commonly referred to in the industry as "chrome"). That detracted from the content of the page, which was the whole point of the browser. The name "Chrome" came from this principle as we wanted the browser to be about "content, not chrome." One significant contributor to the excess of browser chrome at the time were extensions like the then-ubiquitous toolbar. 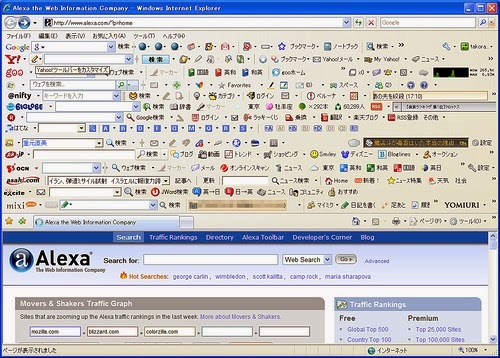 When users installed more than one of these toolbars, the results could be overwhelming. To keep with our principle of simplicity, we decided to take a different approach. Chrome extensions would be simple and single-purpose in nature, and each would only be allowed a single visible UI "surface" in Chrome, a single browser action or page action button. 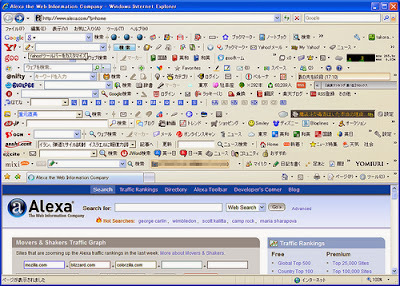 Toolbars wouldn't be supported by design, and users would have more control over which features they added to their browser. Unfortunately, in some cases, we couldn't enforce these design goals technically. With content scripts, extension developers have full control over the page, so they can put up as much UI as they want, even going as far as to create toolbars in the page. Others used content scripts to create extensions with more subtle features bundled together that were harder to attribute to specific extensions. In many cases, the Chrome Web Store helped by showing poor reviews when users had noticed bad behavior from a particular extension, but in other cases the connection wasn't clear. Even worse, when extensions were sideloaded locally on their computer (perhaps bundled as part of another piece of software they installed) the user wouldn't have the benefit of the information in the Chrome Web Store at all, so they might not realize they were agreeing to install an extension with unwanted functionality or poor reviews. It is for these reasons that we've updated the Chrome Web Store policy to enforce our original single-purpose design goal for extensions. We realize that this will require significant changes for some existing extensions. Some may need to be split into multiple separate extensions. Developers may need to switch to a different approach to monetization, which we've recently made easier by adding payment options to extensions. Since these changes may take some time to implement, we're not going to start enforcing the policy for existing extensions in the Web Store until June 2014. For new extensions, the policy will go into effect immediately. If you have any questions, please find us in our G+ community, on Stack Overflow, or our mailing list. Update May 16, 2014: This will begin being enforced for previously grandfathered extensions (those which were in the Web Store prior to Dec 19, 2013) on July 15, 2014. Today we're announcing an update to the Chrome Web Store policy: extensions in the Chrome Web Store must have a single purpose that is narrow and easy-to-understand. While this has always been the intent of the Chrome extension system, not all extensions have lived up to this ideal. These multi-purpose extensions can crowd your browser UI and slow down your web browsing - sometimes significantly. We're making this policy change to fix these problems and give users more control over their browsing experience. A simple and speedy browsing experience has been part of the core principles of Chrome since the beginning. Simplicity was important to us because browsers had become overly complex, with bulky user interfaces (commonly referred to in the industry as "chrome"). That detracted from the content of the page, which was the whole point of the browser. The name "Chrome" came from this principle as we wanted the browser to be about "content, not chrome."